First and best of the pair is a Swedish act called F.K.U., which amusingly enough stands for “Freddy Krueger’s Underwear” (!). The band has actually been kicking around since 1998, with their first demo “Beware of the Evil Underwear” hailing from that date, but I understand they had actually started playing together in one form or another a full decade earlier. Don’t know the story there, unfortunately, so we can only speculate as to what led to such a long break in the action. Regardless, the band has not been incredibly prolific by comparison to most acts of similar vintage, only releasing albums at a 4-6 year remove. They also have some sort of fixation on the word “mosh”, with the Anthrax pun title of Metal Moshing Mad (1999) followed by the horror film pun Sometimes They Come Back…to Mosh (2005) and the Marvel comics pun Where Moshers Dwell (2009). This time around, I’m not sure what they’re referencing, but dammit, “mosh” is in the title again, with their latest release from Napalm Records, 4: Rise of the Mosh Mongers. There are numerous similarities between F.K.U. and the second act in question, so I’ll introduce them to the conversation at this point: none other than Ireland’s notorious Gama Bomb. Where F.K.U. 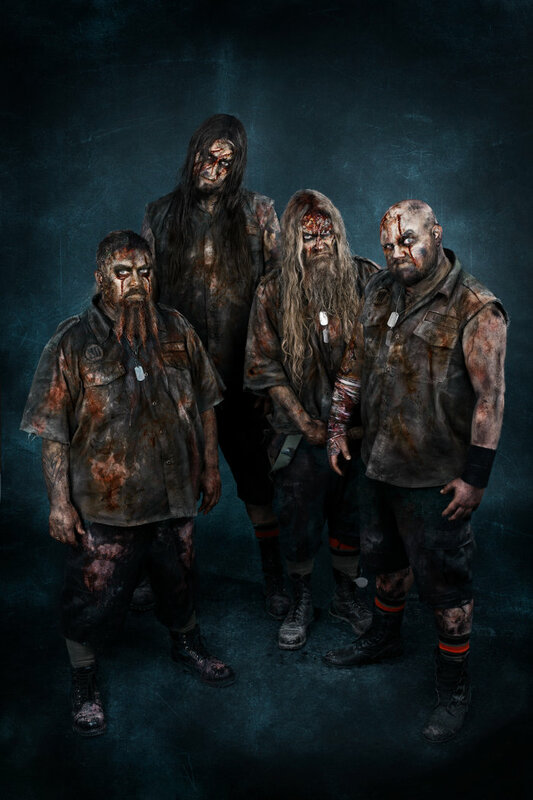 has been pretty spotty in terms of getting material out, Gama Bomb has been more prolific, putting out 2 demos and 4 albums since their formation in 2002, with the newest of these being AFM Records’ The Terror Tapes. On several levels, these bands are ridiculously similar: both positively worship classic 80’s thrash metal. Both have a big jones for the VHS mom and pop shop / Times Square grindhouse / Eurohorror thing – slasher films, zombie films, you name it, and focusing more on the cheesier/sleazier/more direct and emptyheaded early to mid 80’s variants than their more feted and often classier 70’s forbears. As fans of Third Eye know, I love all of this stuff, so this is all “so far so good” on my end. Now, let’s go back to the differences for a minute. Gama Bomb has built something of a reputation as leaders in the retro-traditional thrash scene that sees them mentioned alongside such acts as Toxic Holocaust, and strangely, also winds up mentioned in the same breath as Teutonic power metal veterans Helloween (though I can’t for the life of me imagine the connection there, unless I’m confusing them with the similar Gamma Ray, which features a few ex-Helloween alumni). 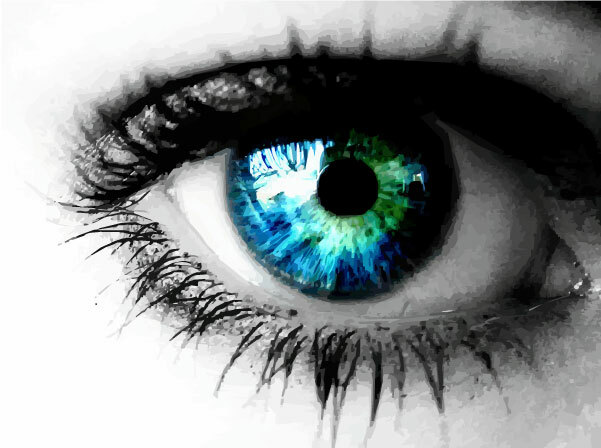 They’re also considered a dash controversial, due to some pro-filesharing comments they made in some past interviews. So the bottom line is, rightly or wrongly, they’re considered a big deal on the modern European metal scene. On the flipside, F.K.U. appears to be a relatively obscure concern – I personally hadn’t heard of them prior to Rise of the Mosh Mongers, and for a Yank, I do follow this stuff fairly closely, folks. But is there any merit to the old chestnut of “deserved obscurity”? Since there’s noplace else to make note of this, I’m going to mention lyrics at this juncture of the discussion. Where F.K.U. 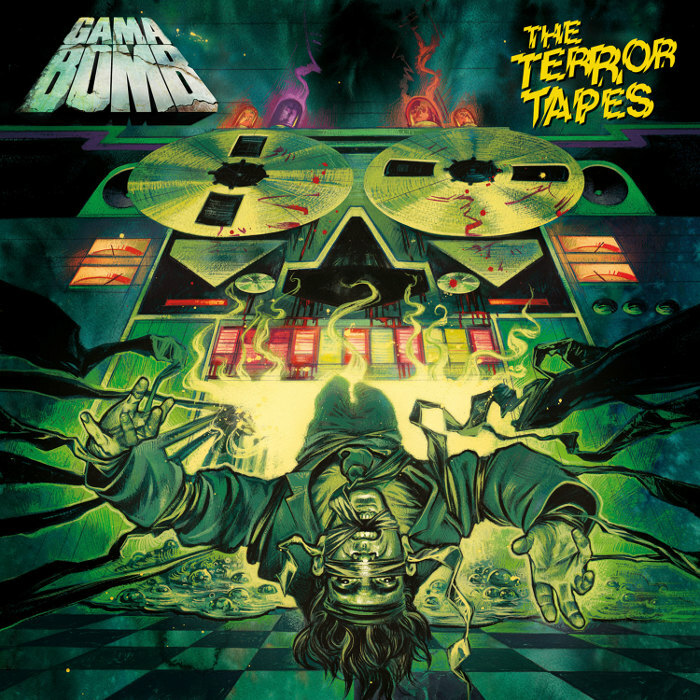 delivers death metal style praise and discussion of the films and scenarios under review in their material (the easiest to point out would be the excellent early slasher film Madman in “Marz attacks” and the similarly vintaged Terror Train in the song of the same title), Gama Bomb seems to have some bizarre fixation on…well, people shitting their pants. So let’s go back to the similarities. These two bands sound so much of a piece, I’ve played them back to back every single time I’ve reviewed the material – one goes on, then dammit, the other one is getting a spin right afterwards. Now I’d mentioned earlier that both are slavishly loyal to the classic 80’s thrash metal sound – much moreso than, say, Canada’s excellent Mortillery, who still carries a dash of a modern feel and sports a female singer (which was almost completely unheard of for the style back in the day, outside of Nicole Lee and Znowhite or the girls of Meenstreak). But there’s a flipside to that. There’s a problem with both bands, you see, and that’s a noticeable sameness to the material. Sure, they’re both talking old 80’s slasher films, zombie flicks and Italian horror. But what you’re sure to notice after playing a few tracks on either album is that much akin to Mors Principium Est, who I reviewed a month or two back, you’ve gone through 4…6…8 tracks without realizing the song’s changed once. To some extent (albeit far more in the case of one album than the other), there’s little appreciable variation in the sound, which holds both acts back from a far more unqualified and unreserved recommendation that their efforts probably deserve. Now, let me return to the differences. 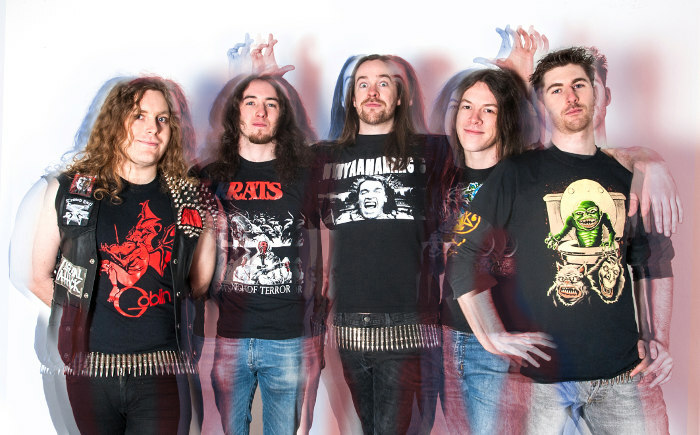 Because Gama Bomb fails a dash in its mission of recreating the classic thrash sound and feel, and where it happens primarily falls on the vocal end. With an odd, hollow monotone, vocalist Philly Byrne delivers lyrics in a sort of Zappaesque sprechgesang that sounds more like he’s talking or declaiming than actually singing – the closest I can think of to the sound he’s reaching for would be Forbidden’s Russ Anderson, minus the scattered moments of dramatic reach and vibrato he was known for. And mind you, Russ was knocked back in the day for his lack of range and accepted vocal style for the genre…a lot. So it’s not really a positive here. 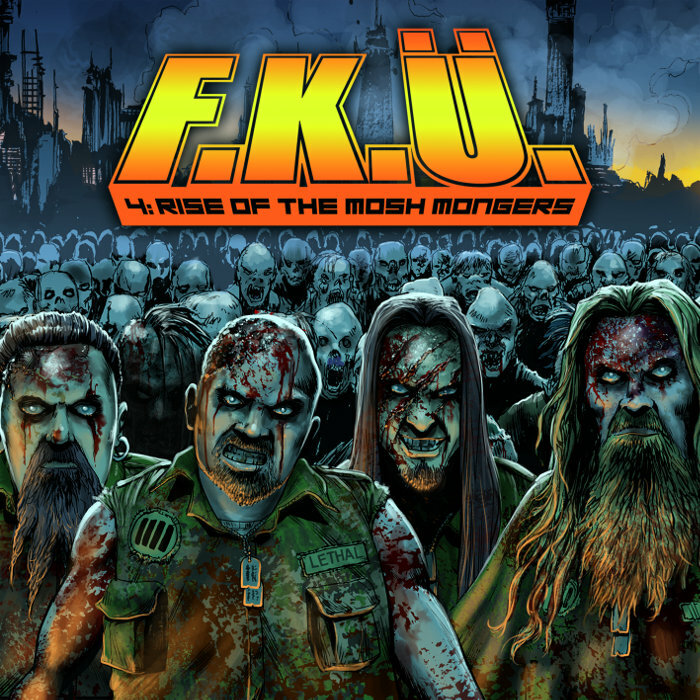 F.K.U., on the other hand, features vocalist “Larry Lethal” (nee Mackrory) performing a far more successful approximation of Don Doty era Dark Angel, with a dash of Bobby Blitz in the Gustafson era Overkill, and further hints of Sean Killian from Vio-Lence, Mark Osugueda of Death Angel and even John Cyriis from Agent Steel – closest to Doty by far, but you can pick up bits and pieces of phrasing and stylization from all of those guys in the mix. While he may not be considered a clean operatic singer or what have you, it’s still pretty damn good, and perfectly apropos – stylistically, it fits right in, as does the band and album. Now, where I noted earlier the strong similarity between pretty much every song on both of the albums in question, there’s a caveat. While you’d certainly be hard pressed to convince me that they ever really changed key throughout the entire 16 tracks of Rise of the Mosh Mongers, and a strong argument could be made in favor of the idea that it’s just one long suite, there ARE discernible differences – phrases here and there, bridges and modulations in parts of the songs that suggest not only proper song construction (which is there, no doubt about that point), but that it’s not the same damn song over and over. And vocally speaking, just the list of names I put forth should point towards the fact that there are a number of influences and styles floating around in Mackrory’s delivery – the man knows what he’s doing, as does the band backing him up. Gama Bomb, on the other hand…well, it depends on how discriminating a listener you are. If you’re just happy to hear a band delivering some speedy aggressive anthems in the classic thrash style, hey, no harm no foul – this is a good album, check it out. But if you’re looking for any real measure of variation from one track to the next…you might want to take a listen before buying. And given the relative level of name recognition if not infamy of the two acts, it’s truly surprising. For my money, Freddy and his undies win out hands down. Now it’s your turn – check ’em out and decide for yourselves. Well done. I also came across these albums at around the same time and have been playing them back to back, trying to sort out which is better. I love them both, but definitely agree that F.K.U’s is the stronger of the two albums and the one that most effectively transports me to the back of my parents car circa 1988, on a 10hr road trip to grandma’s with nothing but a walkman and box full of thrash cassettes to keep me entertained.